Pristine Home offers a wide range of cleaning services, including residential and commercial cleaning. For over ten years, we have served the cleaning needs of Penshurst residents and businesses. So whether you require a one-off clean, or an ongoing cleaning for your property, we’ve got you covered. If you have an urgent need for our services, you can also book a cleaner online and we will advise you of the earliest available date for cleaning. Do you spend most of your weekend decluttering the house and sweeping the floors? Let our trained cleaners supplement some of the house work you regularly do, so you can enjoy some leisure time. Our domestic home clean includes vacuuming and mopping floors, cleaning the kitchen and bathrooms, and dusting all areas. Before vacating a rental, you must ensure that it is restored to its original condition, minus normal wear and tear. By having the place professionally cleaned, it is easier for you to get your full bond back. Our vacate cleaning service is perfect if you are unsure how to meet the strict standards of your landlord when it comes to end of lease cleaning. To secure your full bond amount, leave the cleaning to our team of competent cleaners. We are familiar with the cleaning requirements of landlords, and deliver our services with the goal of helping you get your deposit back. Our cleaning staff will start by removing debris and cobwebs from walls, then clearing out the compost bin, and sweeping the garage. We take meticulous care to leave your apartment looking refreshed. By cleaning the floors, and vacuuming all areas, we are able to get rid of allergen that can pose certain health risks. We will also clean your kitchen countertop, and your small kitchen appliances. Our spring cleaning service is focused on cutting through winter’s mess. We remove soot buildup from the fireplace, wipe clean the windows, dust bookcases, and polish wood furniture. We also accommodate specific requests such as a thorough cleaning of all kitchen units, and washing of skirting boards and window frames. Many of our clients call upon our company to help them disinfect the toilet and make their bathrooms spotless clean. Our cleaning team ensures that all cobwebs are removed, and that baseboards and shelves are cleaned. They will use a potent cleaning solution to thoroughly clean the grout and the shower area. Moving into a new home is exciting, but is also very time-consuming. In addition to packing your things, you have to think about the deep cleaning task that is part of your responsibility as a tenant. Our cleaning experts can visit the property before you move out to ensure that all areas are cleaned, and that the entire place will look flawless before the final inspection. Your total satisfaction is our priority. We will deliver the best cleaning service for your property, or it’s FREE. Want a Break From Cleaning Chores? There is no other way around maintaining cleanliness in the house but to set aside a few hours of your day for cleaning. 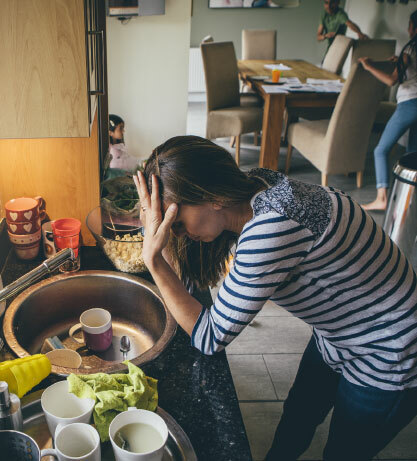 Whether your spouse or your kids are willing to assist you in this endeavour is another story, and oftentimes you are left to tackle the chores alone. If you are a working professional, it gets exponentially harder, as you strive to strike a balance between your career, your family life, and the cleaning tasks at home. At Pristine Home, we know that finding the energy and the motivation to clean the house is never easy. As such, we offer comprehensive cleaning services to busy homeowners and businesses, so you can have one worry off your back. Leave the dirty work to us, and take that vacation you’ve been planning for months. service with us and receive $20 off your first regular service! Professional and trustworthy cleaners: All cleaners are interviewed and referenced checked to ensure complete trustworthiness. A personal touch: Our friendly, efficient and helpful office staff make the process of booking your clean as easy and carefree as possible. 10 Yeas Experience: We’ve been operating in Ashfield and the surrounding suburbs for 10 years now! Quick and easy booking: book online in 60 seconds! Our prices are set based on the rates of other cleaning companies in Penshurst. We do not deviate from the average pricing of cleaning services so more residents can enjoy quality cleaning services without overpaying. You deserve your down time. That’s why we clean your house efficiently and effectively at a time that suits you. We train each one of our cleaners carefully to ensure our methods are consistent across our team, ensuring your receive the best service each and every time. You can rely on us to only provide you with trustworthy cleaners for your home. We personally interview, screen and police check every employee. Ready to Book a Cleaning Appointment? 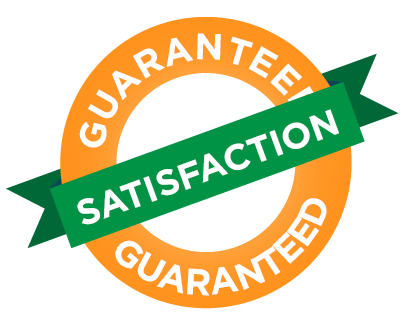 You can have a next day visit by simply booking a cleaner online, and approving the instant quote that will appear. The process takes less than 60 seconds, and we take care of the rest for you. Put your feet up, relax and enjoy more free time. Our customers continue to express their satisfaction with the professionalism of our cleaning team, and with the quality of the services we provide. Milena has been cleaning for me for several weeks now and I’ve been meaning to tell you how happy I am with her. She is always on time, friendly; easy to talk to and nothing is too much for her. My home continues to look amazing and I look forward to Milena coming each week. I have tried several cleaners from different agencies and their service was not always reliable. I arranged a cleaner through Pristine Homes and booked a weekly service for our home and I have been very pleased with the cleaning performed and the professional attitude of the staff. I would certainly recommend Pristine Home to others. A big thank you Pristine Home and specifically Bernard and Luisa for doing my move out clean. They were professional and thorough and made a stressful time so much easier for me.